I'm having fun showing you around my home and thanks for all your lovely comments for those who have already joined me on one of my tours. On this weeks tour we reveal the family room, which leads off from the adult room. 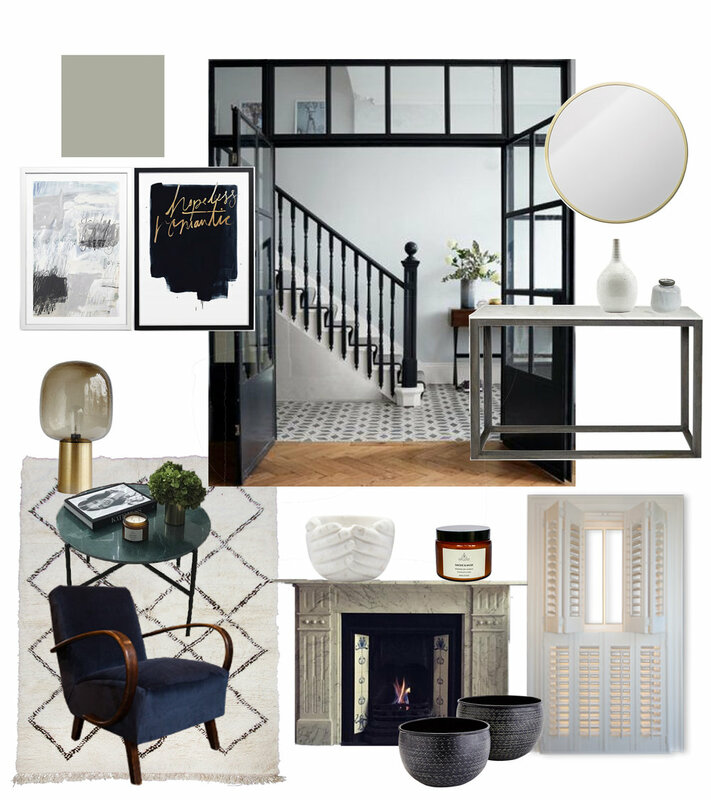 In contrast to the dark room it's grey in tone with accents of blue and brass. This is where the fambam hang and watch telly and we often have crazy dance offs on a Friday night, ha so rock n roll. Join us on IGTV for the tour and see below to get the look.